Alien Bee: THE AVENGERS Promo Images On "Red Envelopes"
THE AVENGERS Promo Images On "Red Envelopes"
We have some new images of THE AVENGERS that have surfaced over in Asia called red envelopes (or 'ang pows'). that will be handed out for the first six days of the Chinese New Year, starting Monday, January 23rd. 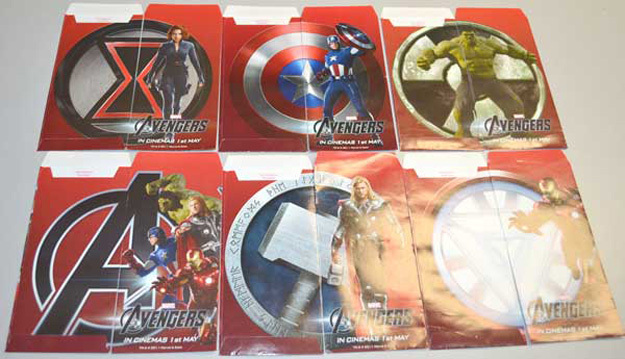 In the images are Iron Man, Thor, Hulk, the team, Captain America and Black Widow, hey they forgot poor Hawkeye again! We'll get to see the entire team assemble on May 4th, that's not too far away now!